There's a lot of planning that goes into traveling. Quite often you get months to organize a trip, and you can plan everything down to the tiniest little detail. Sometimes though, it's a spur of the moment opportunity, and you have to do the best you can to at least get the major details taken care of so that a trip can happen. That's the kind of planning that comes with experience, and I'm fortunate to have had enough last minute opportunities to travel in my life that I can call myself a bit of an expert. Right now I'm sitting on the farm in Abbotsford. We're on a 24 hour road trip that came into being about 48 hours ago when an opportunity to see a band that I've always wanted to see, the Trans Siberian Orchestra, presented itself. Needless to say, on such short notice there's plenty of items that have to be dealt with in order to go. When time is of the essence, you have to focus on the most important things, and trust that the small details will take care of themselves. The first thing I had to do was clear my work schedule. In my chosen (or at least, current) profession, we work weekends, and long weekends in particular. Fortunately I have a very understanding boss who is willing to help me out. By shifting some of my schedule around, I managed to free up my Friday, although I'm going to have to be back in Kelowna by lunchtime Saturday to compensate. Not my ideal layout for a long weekend, but it lets me have the needed 24 hours to make the trip happen. First detail dealt with. The second issue we had to face was what to do with our kids. Les enfants are old enough to be left on their own these days, but apparently it's still socially unacceptable to leave them in the car while Lori and I attend a show, even if we offer to crack a window for them. 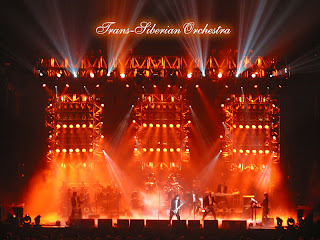 Luckily, the Trans Siberian Orchestra's only B.C. appearance this year is in Abbotsford, which coincidentally is where my in-laws live. This solved the "Where to leave the kids" dilemma, but as with most things, there was a trade-off. We had to agree to be sociable and have a family dinner before the show. The dinner itself wasn't an imposition (In fact it was great. Mennonite Moms really can cook!) but it meant that we had to arrive in Abbotsford a little earlier than we had planned, thus taking another chunk of time out of an already chaotic weekend. We might have to miss dessert, but our second major detail was under control. Finally, I had to pack. I have to pack my own clothes these days (*sigh*...Magic Suitcase I miss you) but on a one night trip, that's really not too hard. Packing the electronics is another story though. Let me ask you a question. 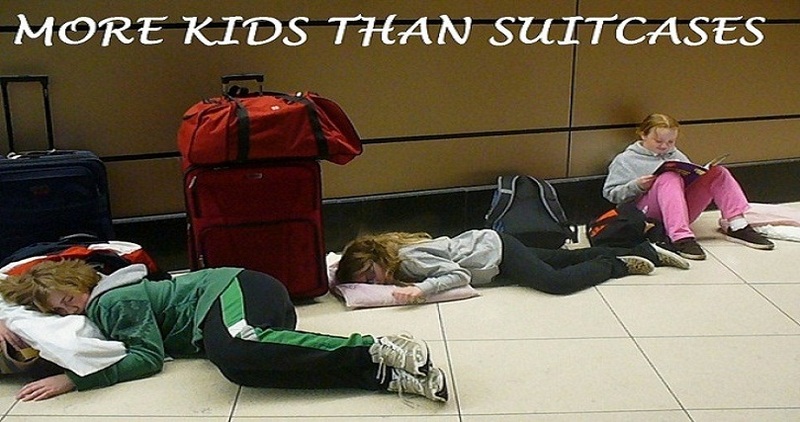 What's the minimum amount of technology that you can take with you on a trip that should last for less than 24 hours? Apparently the answer is 4 laptops, 5 iPads, 3 smart phones, a couple of iPods, and of course, rechargers and power cables for all of the above. Essentially we're a giant, traveling computer lab. We passed a CTV news van on the way down here today, and I'm pretty sure that if the need arose, we would have been able to mount a remote satellite broadcast before they could. Still, even with all of this computer power packed along, my daughter managed to forget the USB stick that she needed to do her homework. Oh well, homework's best done at the last minute anyways. Third detail handled. So with all of these details taken care of, we were good to go for our whirlwind 24 hour trip. It feels good to have everything handled when you head out on the road. It allows you to relax and just enjoy the experience of traveling. Of course, even when you handle all the big stuff, sometimes it's one of the smaller details that comes back to bite you. As we were excusing ourselves from dinner tonight to get ready for the show, my Father-in-law inquired as to what show we were going to see. When I told him the name, he said that he had seen advertisements for that show in the paper, but that the concert was tomorrow night, not tonight. At least we got to stay for dessert. Next time I'm going to spend a little more time on some of the smaller details.